In the wake of the Chilcot Report, Tony Blair has defended his government’s actions in a lengthy statement akin to a verbal ‘Mein Kampf’. An emotional Mr Blair made a speech lasting around two years before proceeding to answer questions for a further five years. 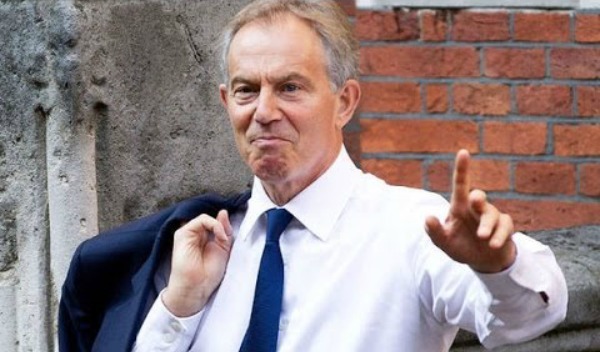 He poured scorn on those who claim the rise of ISIS was fuelled by the US/UK invasion of 2003. “Iraq would have been fine if we’d just invaded deeper, harder and longer,” Blair said. He said the Chilcot report had vindicated him against those who said his government had falsified intelligence in the run-up to the conflict. “We didn’t falsify intelligence. We didn’t need to – it was already false. Un-intelligence, if you will. “I regret our un-intelligence. But am I sorry? Well, I’m not not sorry. But I’m not sorry. “We had no way of knowing that Saddam wasn’t about to use a death-ray laser to blast us into dust in our beds. “Back then, we didn’t even know if he had a death-ray laser or not. He was also questioned on his commitment to participating in a war alongside the US no matter what, after the Chilcot report revealed he had said so in a memo. But Blair responded: “I didn’t say that. I meant something different. “What I meant was, we’ll fight alongside you in a war of words, or maybe a tug-o-war, or a re-enactment of the Crusades.